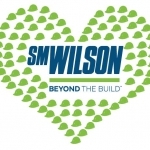 S. M. Wilson & Co. introduces new corporate philanthropic program, #SMWill as of January 2019. 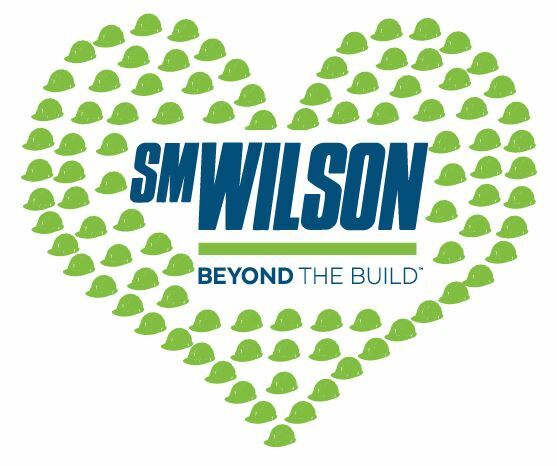 In an effort to streamline S. M. Wilson’s corporate giving funds and provide more opportunities for employees to support charitable organizations they are passionate about, S. M. Wilson has created #SMWill. #SMWill was fully launched in January 2019 and has already supported the community with monetary donations and volunteer hours to organizations such as Ready Readers, Cardinal Glennon Sun Run and Aim High. S. M. Wilson is a full-service construction management, design/build and general contracting firm with headquarters in St. Louis. For nearly 100 years, S. M. Wilson has provided a complete range of services and has become one of the leading general construction and construction management firms in the St. Louis area. 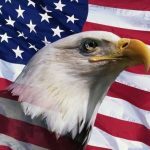 For more information, visit www.smwilson.com. 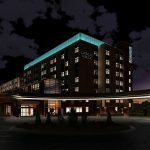 S. M. Wilson & Co. has been selected by Blessing Hospital to serve as the construction manager of a $33 Million Patient Care Center expansion in Quincy, IL. The expansion will include building-out the fourth floor shell space with 26 patient rooms and two new patient floors with an additional 52 patient rooms. Once the fit-out is complete, Blessing Hospital’s Moorman Pavilion will turn into a six-floor patient tower with a total of 130 patient rooms. 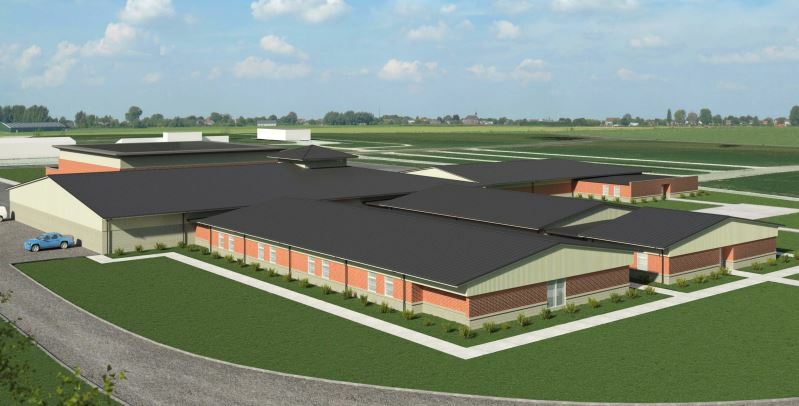 S. M. Wilson & Co. has been selected by Hallsville R-IV School District to serve as the Construction Manager at Risk for the Hallsville Primary School addition and renovation. The 31,000 SF addition will include adding classrooms to the Primary School consisting of eight new second-grade classrooms, and potentially adding two new first-grade classrooms and two new kindergarten classrooms. The design will be configured to allow for future expansion to the west. The gymnasium addition will consist of a main entry way, concessions, restrooms, locker rooms, storage and ancillary spaces. 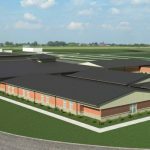 The project will also include renovations to other exiting District buildings as well as additional projects related to a school bond issue and the District’s $7.3 M capital improvement plan. Slated for completion in the summer of 2020, the project will be completed in phases to provide minimal disruption to the occupied campus. Klinger & Associates is the architect on the project. 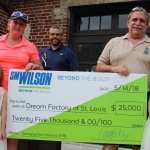 The 12th Annual Swinging Fore Dreams Golf Tournament sponsored by S. M. Wilson & Co. raised $30,000 for The Dream Factory of Saint Louis on May 14, 2018 at Glen Echo Country Club. 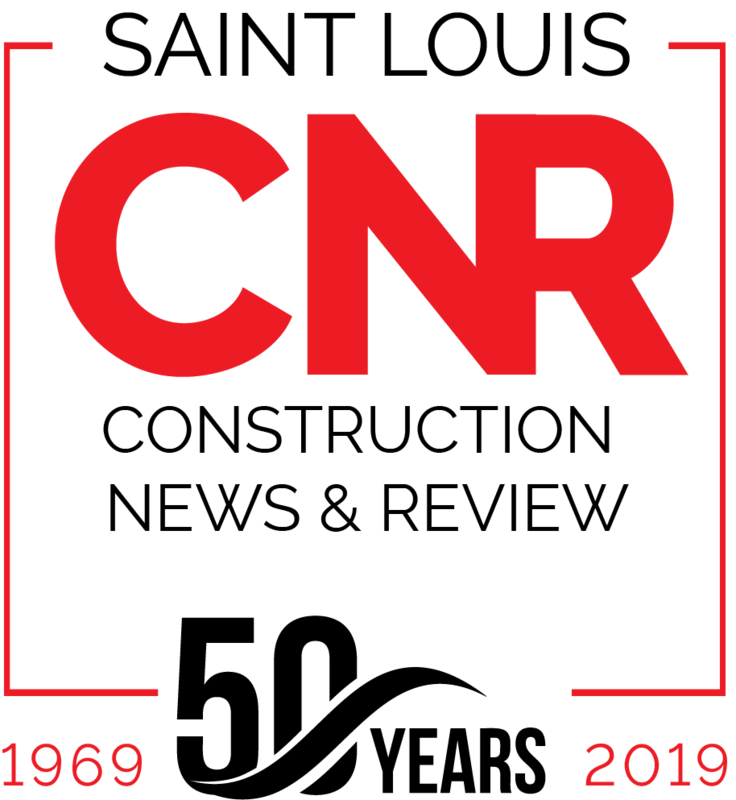 The total amount raised includes $25,000 from entry fees and sponsorships and an additional $5,000 through day-of events including a silent auction. More than 50 construction-related companies and organizations supported the event, which helps children with critical and chronic illnesses to realize their dreams. Since 2007, S. M. Wilson has helped raise $365,000 for The Dream Factory of Saint Louis through the Swinging Fore Dreams tournament. The Dream Factory of Saint Louis was founded in 1983 — one of 36 non-profit Dream Factory chapters around the country. The Dream Factory is the only children’s wish-granting organization that does not limit its mission to children who have life-threatening illness. The organization believes children with chronic illnesses and disorders also suffer from substantial emotional and physical pain. To learn more about the Saint Louis Dream Factory, visit http://dreamfactoryinc.org/chapters/saintlouis/. S. M. Wilson is a full-service construction management, design/build and general contracting firm with headquarters in St. Louis. For nearly 100 years, S. M. Wilson has provided a complete range of services and has become one of the leading general contracting and construction management firms in the Midwest. The employee-owned company is dedicated to going above and beyond expectations for their clients by putting people first. In 2017, S. M. Wilson posted $230 million. 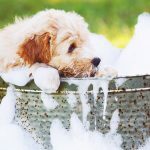 For more information, visit www.smwilson.com. 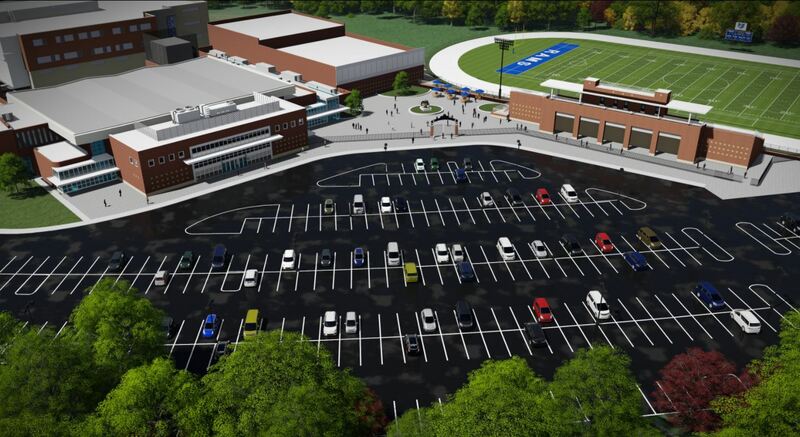 S. M. Wilson & Co. has been selected by Ladue Schools to serve as the general contractor of the grandstand and plaza area at Ladue Horton Watkins High School. The project is being funded as part of Proposition R, which was approved in April 2016 in addition to other funding sources. S. M. Wilson is currently constructing $82 million worth of additions and renovations at the high school as part of Proposition R.
Hastings + Chivetta Architects designed the project. 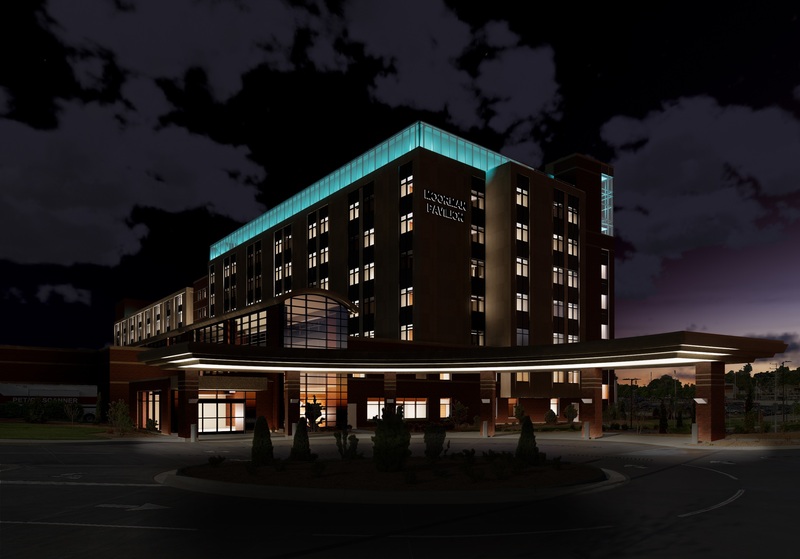 Construction is expected to be complete by March 2019. S. M. Wilson & Co. has completed construction of TruFusion’s newest location, which is now open. TruFusion St. Louis was designed and constructed to portray a luxe atmosphere which derives partly from its upscale feel and partly from its organic accents. 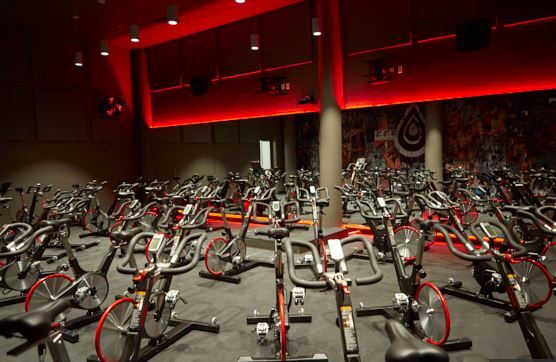 The gym features visually striking heated and unheated rooms. The project also consisted of upscale amenities including spa-like locker rooms; the second location of the former Cardinals team chef’s Revel Kitchen, offering bowls, salads and wraps, as well as smoothies and raw, cold-pressed juices; and a retail boutique offering the latest fitness and athleisure trends. Space was also constructed for childcare, massage and personal training. FM Group Inc was the architect for the project. Since its launch in Las Vegas in 2013, TruFusion has earned a reputation for having the best variety of classes, workshops and hot fusion workouts, and was named among the “Best of Las Vegas” by the Las Vegas Review-Journal. For more information, please visit www.trufusion.com. 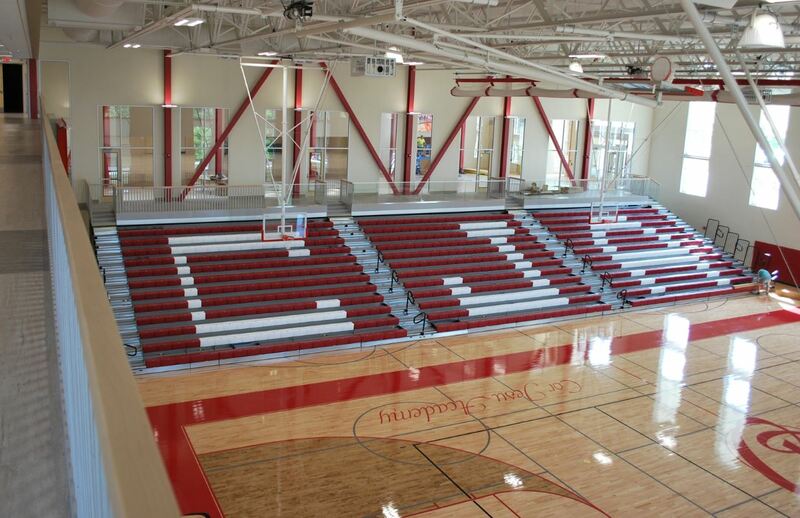 S. M. Wilson & Co. has completed construction of the new $8.9 million performance gymnasium and student commons at Cor Jesu Academy that enables the school to add new course offerings and state-of-the-art learning programs, while also growing its sports programs. The 40,000-square-foot, three-level addition is the second part of the Catholic, private, all-girl high school’s long-range campus enhancement plan that also included site improvements and increased on-campus parking. The building addition includes a new performance gymnasium on the first level with one full court and state-of-the-art features conducive to basketball and volleyball competition, along with permanent bleachers and expanded weight and workout rooms. 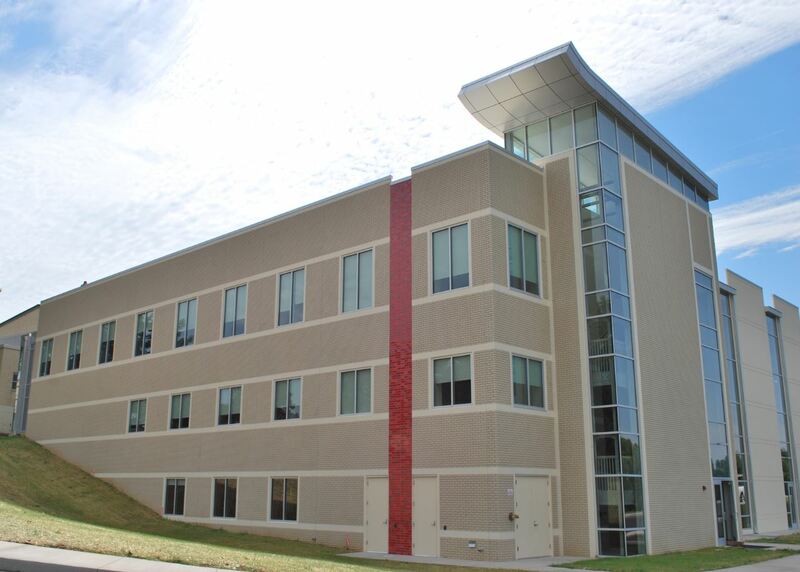 The second floor offers a new dance studio/multipurpose room, student commons and athletic offices. Four new innovative classrooms designed to foster leadership development and provide collaborative, cross-curriculum learning environments are located on the third floor. The new student commons was built in open space between the new addition and the existing school building and provides a dramatic overlook into the new gymnasium. This designated community area will allow students to gather, meet with faculty and utilize collaborative study areas. S. M. Wilson & Co. provided construction management services for the project, and Hastings + Chivetta was the project architect. Both firms engaged Cor Jesu students and faculty in STEM-related learning experiences as part of the building project throughout the 2016-17 academic year. Cor Jesu Academy is a leading Catholic college-preparatory high school for young women founded in 1956 and operated by the Apostles of the Sacred Heart of Jesus. Students from 60 zip codes across the St. Louis metropolitan area currently attend the school and come from more than 100 different Catholic, public, private and home-schooling learning environments. For more information, visit www.corjesu.org. 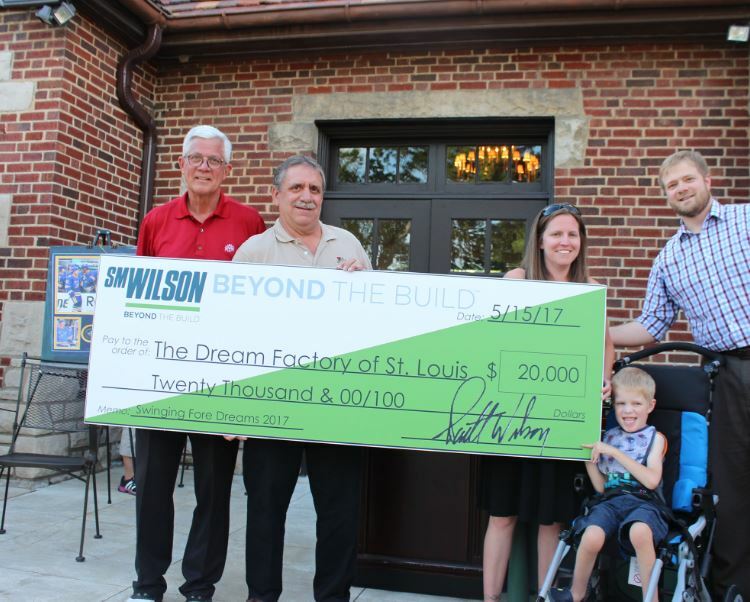 The 11th Annual Swinging Fore Dreams Golf Tournament sponsored by S. M. Wilson & Co. raised $28,000 for The Dream Factory of St. Louis on May 15, 2017 at Glen Echo Country Club. The total amount raised includes $20,000 from entry fees and an additional $8,000 through sponsorships and a silent auction. 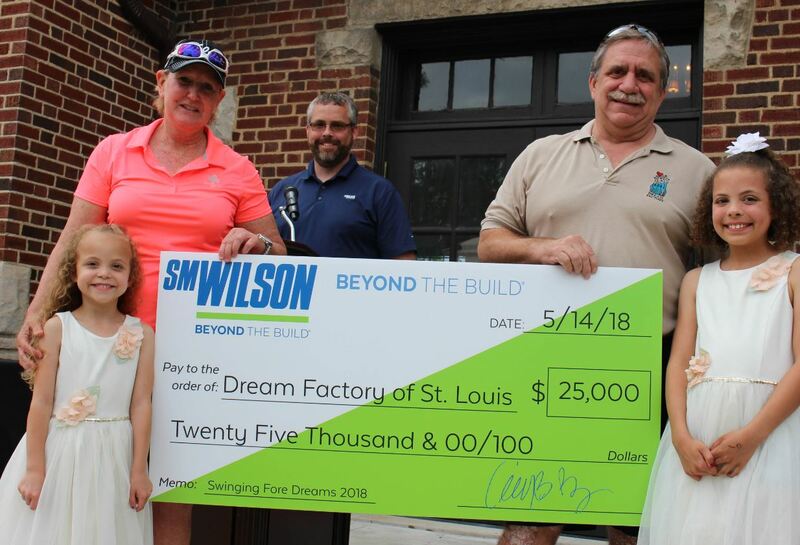 Since 2007, S. M. Wilson has helped raise $335,000 for The Dream Factory of St. Louis through the Swinging Fore Dreams tournament. The Dream Factory of Saint Louis was founded in 1983 — one of 36 non-profit Dream Factory chapters around the country. The Dream Factory is the only children’s wish-granting organization that does not limit its mission to children who have life-threatening illness. The organization believes children with chronic illnesses and disorders also suffer from substantial emotional and physical pain. To learn more about the St. Louis Dream Factory, visit www.dreamfactoryincstl.org . 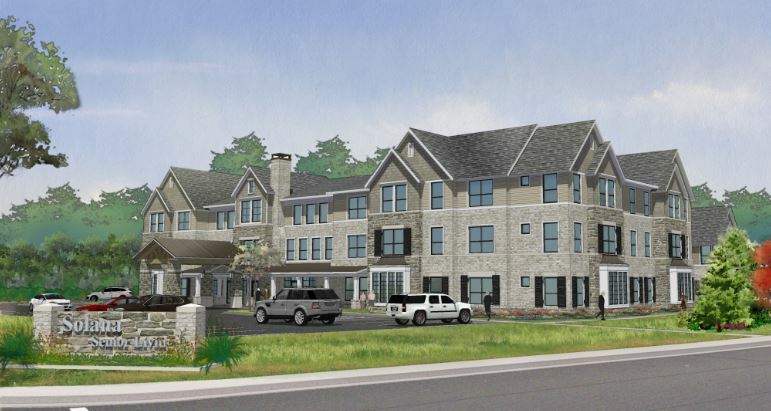 S. M. Wilson & Co. has been selected by Formation Development Group to serve as the construction manager on two new senior living facilities. S. M. Wilson & Co. has been selected by Dot Foods as general contractor on two additions to its headquarters in Mt. Sterling, Il. The project includes additions to two buildings on the Dot Foods campus. The main office building will receive a 60,000 SF, two-story addition consisting of offices, cubicles, meeting rooms and conference rooms. The freezer building will receive a 10,000 SF locker room expansion to allow for additional lockers, showers, a break room and kitchenette. Arcturis is the architect for the project. Construction began in March.